One of Libby Sternberg's earlier books, is about to temporarily be unavailable as it will get "remodeled" with a new cover and maybe some revisions. For a short time before that happens, she is making it available for free! In the summer of 1955, a young nun awakens in Johns Hopkins Hospital after suffering an overdose, unable to remember the events that brought her there. As she recovers, she becomes the center of quiet struggles among those who surround her: her brother, a former GI still stung by betrayal during his years of service; her sister-in-law, a beautiful woman seeking love at any price; her confessor, a Jesuit priest who lost everything during the bombing of London; her nurse, a war widow whose sunny optimism leads to repeated disappointment; and her doctor, a psychiatrist beset by survival guilt and doubts about his profession's ability to heal. Suffering from unseen war wounds ten years after the fighting ended, they each find their way to a very personal peace. 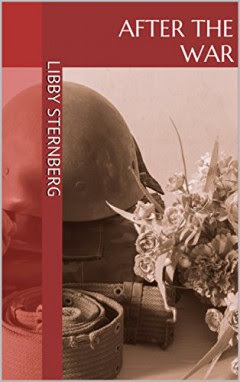 This original edition of After the War by Libby Sternberg will be available for FREE on Amazon for a very limited time before it goes out of print .